Discussion in 'Antennas, Feedlines, Towers & Rotors' started by KN3O, Sep 17, 2018. My questions regard using the antenna with my KX3. Seeing as the BLT+ and the QRPguys z tuner are both not shipping at the moment, a proper tuner for balanced line is not in the budget. Instead I will be using the KX3 built in tuner. The second question being, were I to use this on 160m, would I then be correct to twist the ends of the ladderline together and attach them to the red binding post, and then attach a series of radials to the black one and get REASONABLE performance on 160m, at least for the gimme qso's on 160m? I use the BNC to Twin Terminals along with a 4:1 Balun with my KX-1. Works great with 300 Ohm TV line, as well as with a vertical wire and radials arrangement. It has a very limited range tuner, so there are times with poor antennas or poor situations that I can't get a good match. It's possible to build or buy a small L -match box for extended matching. MFJ makes one. Using one of those adapters without a balun is asking for common mode trouble. Please replace that adapter with a balun as suggested by Rob above. Here is some info on 1:1 choke-baluns. KK5JY and NH7RO like this. I have done the same thing (well, similar. 70 foot doublet with 450 ohm window line) with my KX2. Performance was less then stellar. I mean, It would tune but the internal Elecraft tuners can tune a piece of yarn, it just might not radiate well. If you can't wait for Pacific Antenna or QRPGuys and don't want to buy the Elecraft balun, you might take a look at Balun Designs or even build your own, they aren't too tough. A 160M dipole is about 250 ft long, you have 102 ft flattop, seems like less than half size and that means less than half performance and with QRP, that means lost in the QRM/QRN on 160M ! I tried using an 80M dipole and feedline as a "T" on 160 (no room for dozens of 130 ft radial wires) and mostly made no QSOs and when I did I got reports like RST 349/QRN ! Moved out of the small lot suburbs to the far suburbs with lots of room and big trees to hang a 250 Ft dipole and have worked nearly all states coast to coast with 100 W on 160M !!. What about trying an inverted L instead? Might yield better results all things considered. WB5YUZ and KC8VWM like this. Thanks for all the replies. The primary bands I'm looking for with this antenna are 80 and 40 meters. These are the money bands for PAQP when in state and having a doublet between the two will give decent radiation patterns and efficiency on both. The inverted L is likely to be way down to a dipole at ~35 feet on 40m IN STATE, or at least I assume so. A dipole on 40m has failed to let me down yet. 160m is not crucial, I just want to get the 10-20 qso's that are easy picking during the contest. I have plenty of wire to lay out as radials for 160m operation to improve efficiency. Remember, most of the 160m qsos here are coming from in-state. While I plan on setting up a 1/4 wave vertical for 20m I can switch back and forth between that and the doublet on 20m as the doublet would actually have decent gain in a few directions. If 15m or 10m open a little, I can switch between the two and see what I get. BUT, given the advice I will likely order the elecraft kit instead of using connecting directly to the radio. The theory behind this approach is that the two halves of the 102' doublet each act as capacitive loading for the vertical portion of the antenna, which is formed by tying the ladder-line sides together. 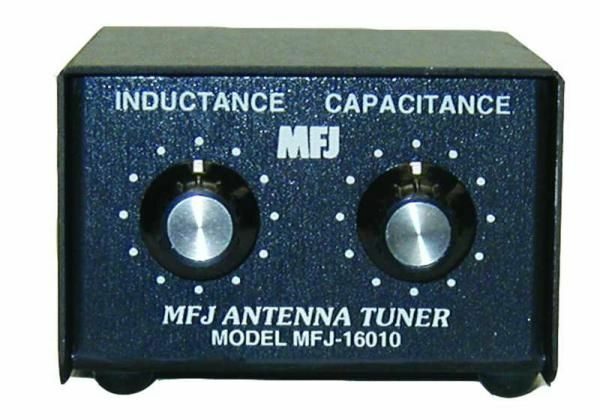 Such an antenna is in fact a "T" antenna, and there are a few general guidelines that have been developed over the years. One is that a good starting place to determine the length of the horizontal loading section is such that the total length of the horizontal element, and the total length of the vertical one, add up to 1/4 wave. Another is that radiation from the horizontal loading section is largely cancelled out. So, making the vertical section as long as possible makes sense, not only intuitively, but in good practice. Of course, a quarter-wave on 160m is around 130' feet. Since 102' of this is taken up by the doublet, that means the twin-lead section need only be 28' tall. Since so much of the total length of the antenna is taken up by elements whose radiation is cancelled out, I would think the radiation efficiency might be somewhat discouraging, though. Someone who is a better modeler than I may be able to figure it out a good estimate of what the radiation efficiency might be. Overall, it might be best to add length to the ladder line section, if it means going off true vertical quite a bit, until the tuner can no longer find a match, and then cutting the last bit of ladder-line back out. This way, even if the ladder line is no longer perfectly vertical, a greater proportion of the overall radiation will be coming from a part of the antenna wherein it is not cancelled out. I feel I'm forever repeating myself here (on different threads) . . . But if you want an antenna for 80 & 40m about 105 feet long that you can connect directly to your rig (without any kind of ATU or Balun) then make W3DZZ Trap Dipole ! If you trim the legs correctly you'll have a 1:1 match on 80 & 40, and less than 3:1 on 20, 15 & 10m too. Just feed it with coax . . . and strapping the inner and outer of the coax to use it on 160m will work just as well as your doublet antenna. N1LHY, W1TRY and WA9UAA like this.